Here I go again, lovely LLS readers, talking about how inspirational your own city can be as a design influence for your home. It's true! 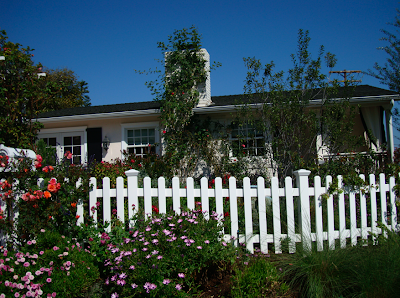 Get out, walk around, drive around and snap some photos and gather some ideas for your own small space. 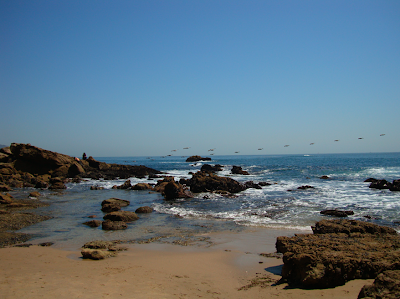 I spent last Friday in Laguna Beach, a short drive south of LA. I was inspired by the rich colors (wow the water was actually blue and clear-ish, unlike Santa Monica) and the texture of the rocks, coves and moutains. 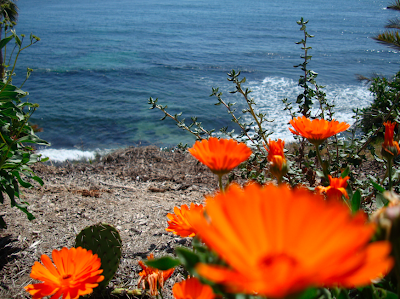 Bright reddish orange flowers against the blue inspired me to enjoy this color combo more. I also drove around some of the pretty neighborhoods in the area. The houses - small! Some even looked about 1000 sq feet. 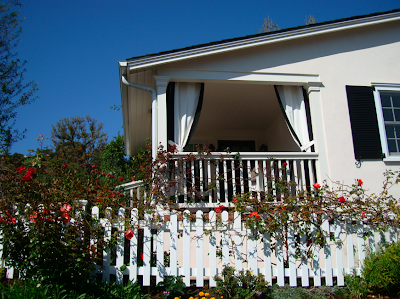 One pretty home and a small deck right in the front and they lines that space with black and white curtains. Loved the look and wanted to share it with you. This could work in any small space outside the home. As the weather is getting warmer, get out there and get inspired by your own city! 5 Responses to "DESIGN INSPIRATION: Your Own City"
That's a great idea to take a drive around the city. The home you posted looks lovely! Not a whole lot of design inspiration here in Cork I'm afraid! Totally inspired by your neighbourhood though! 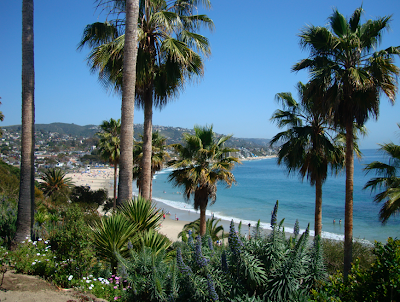 I love Laguna Beach! It is where my husband and I got married! California is awesome for breaks like this. Looks like a great getaway to recharge.